Handball is a fast paced, highly skilful, hugely entertaining, and fully inclusive sport. The fitness benefits of the game are vast. Speed, agility, endurance, flexibility, and bilateral coordination all come in to play in the sport that once you play for the first time, you wont ever want to stop. But what makes this game so great is that all you require to play is a ball and a wall…..it’s really that simple! In Ireland, there are four codes of Handball; 40×20, One-Wall, 60×30 & Hardball.  The 40×20 & One-Wall codes are the two international codes, whilst the 60×30 & Hardball codes are traditional Irish games. Having such a variety of codes is great in the sense that there are Handball competitions all year round, providing increasing number of playing opportunities for players. The primary aim of any Handball match is to make the ball hit the front wall and bounce twice before your opponent can return it. What varies between the four codes is a) the number of walls in the court, b) the size of the court, & c) the type of ball used. 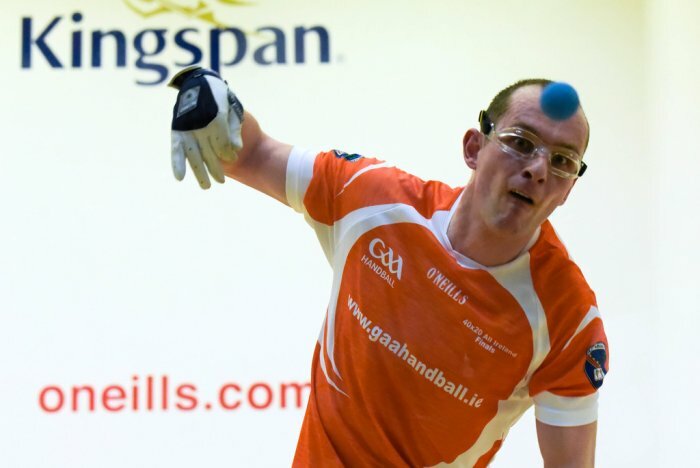 Handball can be played in Singles (1v1) and Doubles (2v2), with All-Ireland Championships in both Singles and Doubles in all our codes. Whilst the skills of top quality Handballers are transferrable, there are very unique differences between not only playing Singles & Doubles, but also between playing the different codes. See below for a more detailed description, picture and video of each code of Handball. The ‘Small Alley’as it is commonly referred to is named after its dimensions (40ft by 20ft). 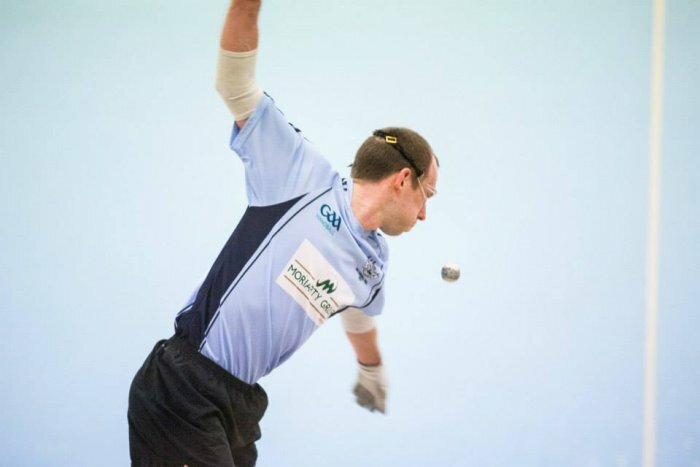 Currently the most popular version of Handball in Ireland, it is played in an indoor facility enclosed with four walls and a roof, similar to a squash or racquetball court. The game requires players to wear gloves and eye guards as the handball used is a small rubber ball, and can travel at speeds up to 100mph. The 40×20 has an international outlet, and is played by over ten countries worldwide. The 40×20 season runs from November through to April. be played indoor or outdoor, but is generally played during the summer months. The front wall has dimensions 20ft by 16ft, whilst the ball used is similar to a racquetball.  It is exciting times for the One-Wall code, that with 33 countries playing worldwide, a new World Wall Ball Association (WWBA) has been established with aims achieving Olympic status. The Irish One-Wall season runs from May through to August. 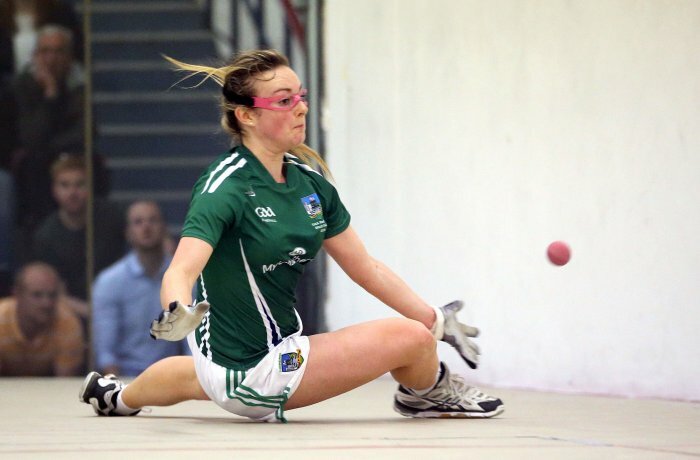 The ‘Big Alley’ or ‘Softball’ game is widely regarded as the traditional Handball code to Ireland, and like the 40×20, it gets its name by the dimensions of its indoor court (60ft by 30ft). The ball used is much bigger and bouncier then the small alley handball, and therefore gloves and eye guards are not compulsory. The game is generally played in the summer months, due to the fact that traditionally the game was played in an outdoor court, before new roofed indoor alleys erected, during the latter half of the 20th Century. The 60×30 season runs from June through to October. Hardball is the most ancient of our games in Ireland, and it is also played in the 60×30 court. As the name suggests, the ball used is small and hard, and is made from cork and leather. Padding on the hands is required due to the hardness of the ball that can travel at speeds over 100mph. The hardball season runs from May to June. 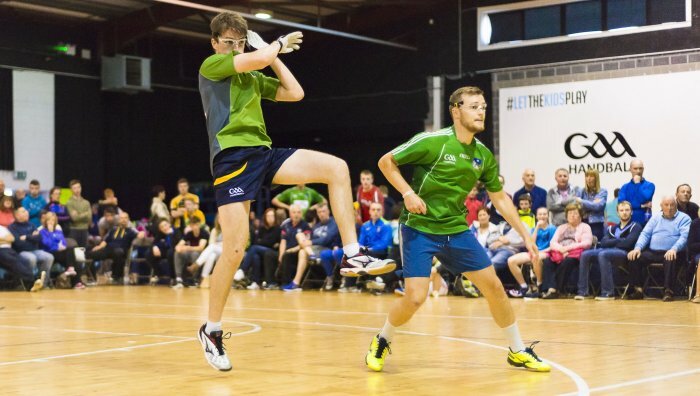 If anyone is interested in the excitement or the challenge of playing the different codes of Handball, then don’t hesitate to contact National Development Officer Darragh Daly who will help you find your nearest Handball club from the hundreds all over Ireland.